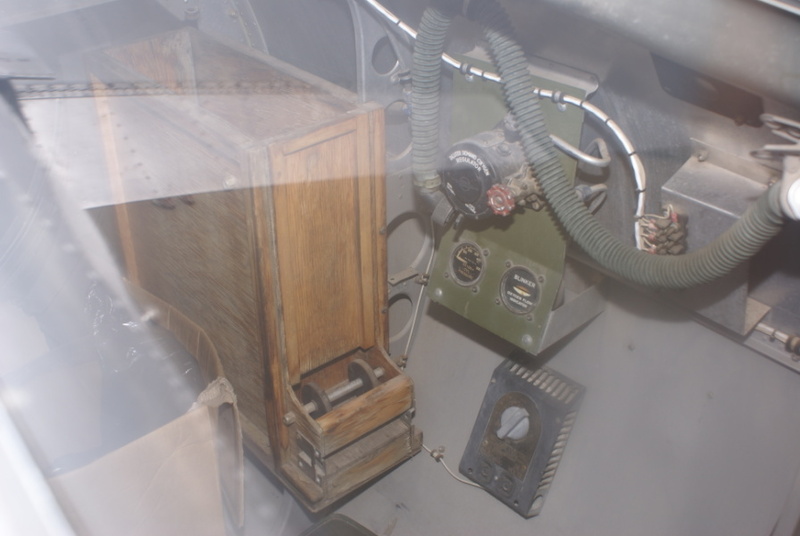 Overall view of the starboard side of the interior of the tail gun enclosure. Note the oxygen hose and regulator and panel. The left-hand gauge on the green panel is an oxygen cylinder pressure indicator, measuring between 0 and 500 psi. The right-hand gauge is the "blinker" or oxygen flow indicator. Below the oxygen panel is the tail gunner's suit heater outlet. At left is the wooden ammunition box.